It's easy to see why West Bay is consistently voted one of the top beaches in the world. It's long white sand beach is surrounded by the second largest reef barrier in the world which makes it an aquatic and adventure paradise. Come here if you want amazing snorkeling just steps from the beach. West Bay beach is also full of wonderful restaurants and the perfect place for strolling, paddle boarding or sunbathing. Coxen Hole is a bustling Carribean town and the largest city on Roatan with a population of 5,000. It is also the location of the island's international airport. 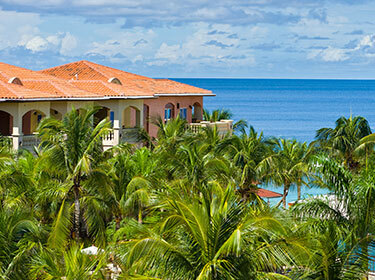 Sandy Bay is home to the Roatan Sotheby’s International Realty's office! 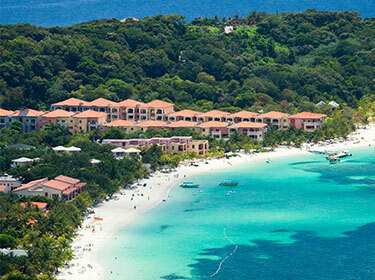 The area encompasses large part of Roatan’s northern shore and includes the luxury neighborhoods of Lawson Rock and Anthony’s Key. It has a long sandy beach that is wonderful for snorkeling, and it also is home to the Roatan Institute for Marine Sciences and the Carambola Botanical Gardens. West End is a funky little beach community and the diving and entertainment center of Roatan. Here you will find dive shops, gift shops, small hotels, and dozens of restaurants and bars. Half Moon Bay is the largest stretch of beach, with a few commercial properties sitting right on the sand and offering beautiful sunset views. The oldest permanent settlement in Roatan, Punta Gorda was founded in 1797 by the Garífuna people, who trace their ancestry back to a slave ship that wrecked on the reefs off the island of St. Vincent in the early 18th Century. Today, the town is a small seaside village that still remains a proud center for Garifuna culture and heritage. Camp Bay is a beach in Roatan's wild, and undiscovered northeast. It is one the island's best kept secrets, unknown to most tourists. Here you will find soft white sand, swaying palms, clear blue water, as well as a couple cute island bars. Port Royal is a tranquil, undeveloped deep water port near Roatan's national park and is one of the highest points on the island. It was once home to Roatan's swashbuckling pirate and buccaneer community back in the 17th century! Built against a lush hilly backdrop, Parrot Tree Plantation is a beachfront Mediterranean-style resort located mid-island. Accommodations range from studios to large villas. Amenities include a full-service marina, a private lagoon, and the Palapa Bar and Grill. 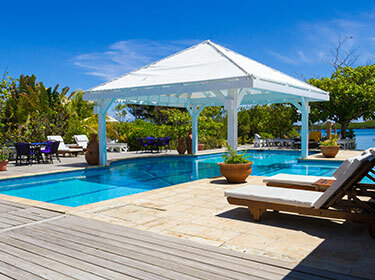 Enjoy aquatic adventures; hike an on-site nature trail; play beach sports; or just relax and rejuvenate. The Bay Islands consist of the the three islands of Roatan, Guanaja and Utila as well as the smaller islands of Barbareta, Morat, St. Helena, plus 53 cays. These form a small archipelago which lies along the world’s second largest barrier reef. 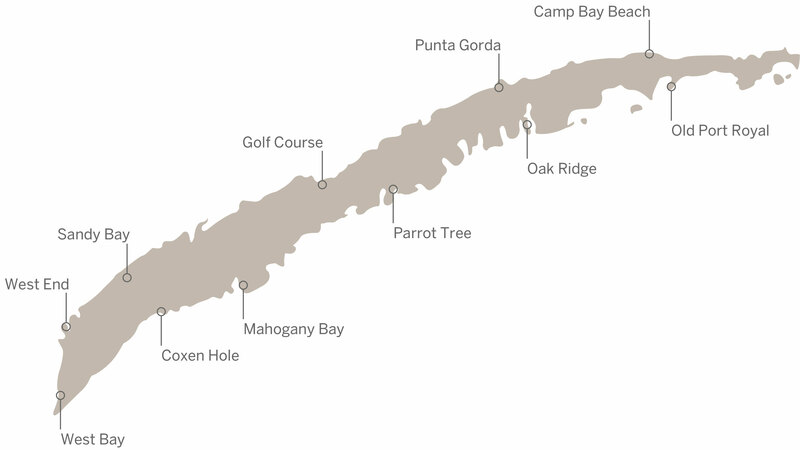 Roatan is its jewel, and the largest at 45 miles long and about three miles wide. The island, which was discovered by Christopher Columbus in 1502, is actually the top of a granite mountain rising up from the sea. This gives Roatan its lush hilly landscape, which offers dramatic seaview vistas and some of the most exceptional home sites available in the Carribean. While Roatan is now a part of Honduras, its colorful history has meant that the island’s culture feels a world apart. Roatan and the Bay Islands have been claimed at different times over the centuries by Spain and England. These islands were even, for a time, an outpost for as many as 5,000 pirates including the famous pirate Henry Morgan! Because of Roatan’s unique history, English remains the islanders’ native language. Visitors also will find the island’s relaxed friendly ambience to be more similar to the culture found on other Caribbean islands such as Cayman Islands and Jamaica.